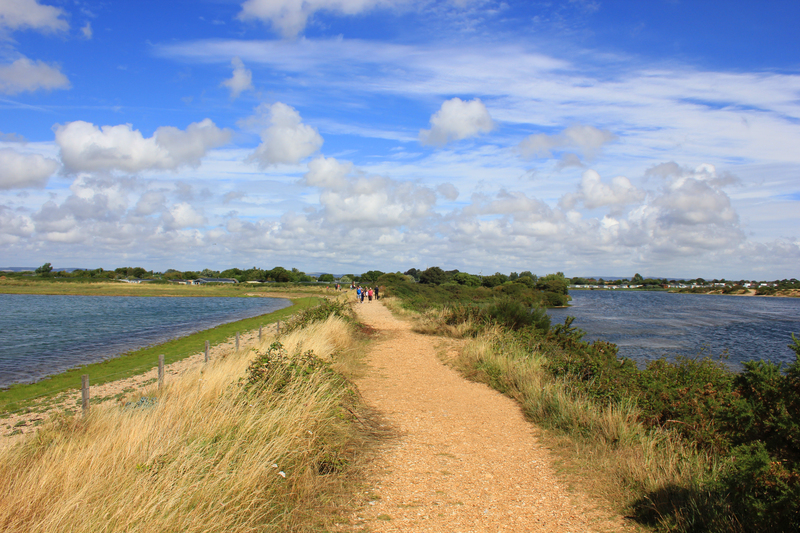 The inland detour around Pagham Harbour is a journey of some five miles. At the end of it all you emerge back on the beach, less than a mile from where you left it. For all of that, I am not sure I would have wanted to miss this detour – we really did enjoy it. First of all we passed Pahgam Lagoon. 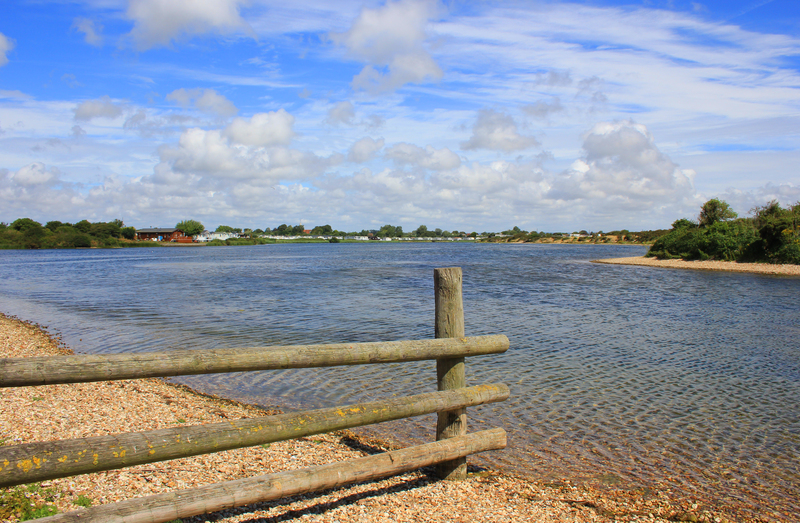 Pagham Lagoon used to be part of Pagham Harbour. In 1876 the harbour was closed off and the lagoon became landlocked. However, seawater seeped in and continues to do so to this day, meaning the lagoon has brackish waters, about half fresh and half saltwater. It is known as a saline lagoon, and it supports many unusual plants and invertebrates. These in turn attract a lot of other wildlife. An embankment separates the lagoon from the harbour. We had to walk along it at the start of our detour. Pagham Harbour itself is not the sort of harbour you might be expecting. There are no boats for a start; in fact it is not a harbour at all. It is a nature reserve. See the bird hide? It is difficult to think that in late medieval times Pagham Harbour was a leading English port, exporting wool to Europe. Over the years, however, unceasing silting caused major problems and trade dwindled. The closing up of the harbour in 1876 was intended to allow the land to be reclaimed for agriculture. However, in 1910 the sea broke through the banks. Nature reclaimed the land back and the wildlife reserve today stands at 1,600 acres. As we walked across the North Wall we got quite close to some bar-tailed godwits. 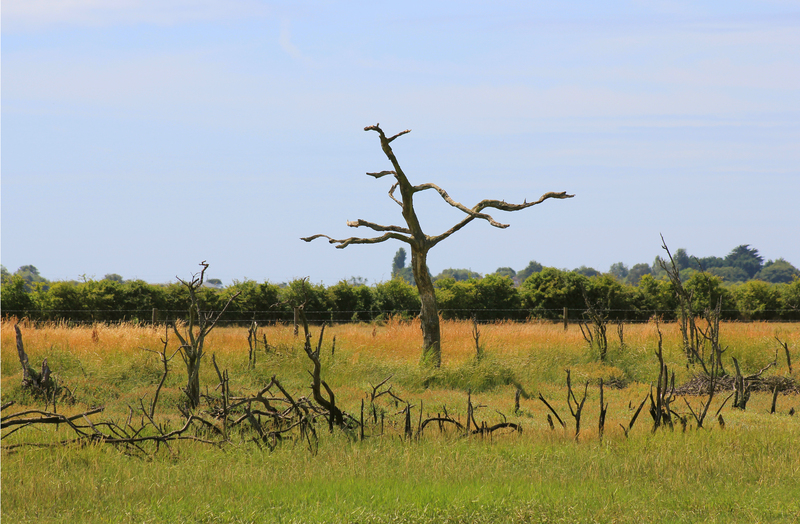 At one point I felt as if we were on the African savanna – why were there no vultures on that tree? 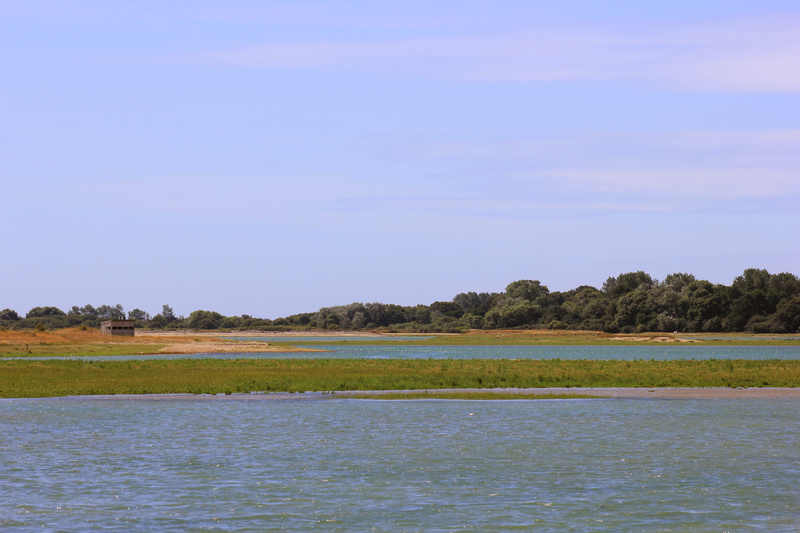 We would see quite a bit more wildlife before we finished our detour around Pagham Harbour, but first we needed lunch. This entry was posted in West Sussex and tagged coast, godwit, lagoon, nature reserve, pagham harbour, travel, walking, west sussex. Bookmark the permalink.